The Introduction to Taking learning outdoors (Primary) will take place at Hawthornden Primary school on INSET day May 22nd 2017. This course is a fantastic opportunity for primary staff who are looking to take their learning outdoors. Staff, with little or no experience of taking groups of children and young people to learn outdoors, are encouraged to take an introductory training course aimed at the age group with whom you work. Training will give staff the confidence and basic skills to undertake outdoor learning in school/centre grounds and other local areas and develop ideas for outdoor learning. 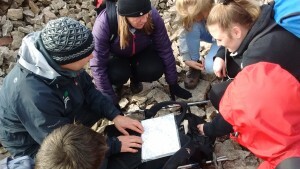 Training is 6 hours, delivered in one day , and includes a mix of theory, practical(some time outdoors!) and discussion. We are hoping to get folks signed up early as this will be a well subscribed course – there is no cost – just bring yourself along and start getting outdoors and making learning connections across the curriculum areas. We will be inviting teachers to share some of their outdoor learning approaches and start to build strategy for outdoor learning. Tutors (Rob Heasman – Teacher – Hawthornden PS & Bill Stephen PT Outdoor Learning) will guide your through this course developed by Scottish Advisory Panel for Outdoor Education & Education Scotland. Costs: free to all Midlothian Council Primary Staff. We hope to offer this to both Secondary and Early Years after a successful event in 2017.